It sounds so obvious: Employees who make meaningful progress in their work enjoy greater engagement, productivity, and creativity than those confronted with setbacks. Yet in a survey of 669 managers around the world, “progress” ranked dead last as a perceived source of employee motivation, falling behind more expected (but less effective) carrots such as bonuses and promotions. “It was incredible to have nearly 12,000 day-by-day reports offering a window into the positive and negative things that dozens and dozens of professionals were thinking and experiencing,” says Amabile, who gathered and analyzed the data with the help of HBS research associates and doctoral students, ultimately writing The Progress Principle: Using Small Wins to Ignite Joy, Engagement, and Creativity at Work (2011) with her husband, Steven Kramer. Professor of Management Practice Robert Eccles has spent his academic career burrowing deeply into the arcane subject of corporate reporting—not the hottest of business topics. At least not until now. With the publication of One Report: Integrated Reporting for a Sustainable Strategy (2010), a manifesto for turning snooze-inducing annual reports into engines of sustainable capitalism, Eccles gave a big push to the nascent global effort to take sustainability to the next level. The problem with sustainability today, Eccles and coauthor Michael Krzus argue, is that most companies treat it as an add-on that’s separate from the financial numbers–laden annual report. “To have real impact,” they write, “these separate reports need to be integrated” into a single One Report that reveals how a company is making sustainability a commitment to high performance on the relevant environmental, social, and governance dimensions. Critics of the One Report concept maintain that it destroys shareholder value by diverting attention from short-term profit maximization. But Eccles and two colleagues found just the opposite. In a recent paper published with London Business School’s Ioannis Ioannou (PhDBE 2009) and HBS assistant professor George Serafeim, the trio studied data from a matched sample of 180 companies over 18 years. Organizations that had adopted environmental and social policies by 1993 (described as high-sustainability companies) significantly outperformed low-sustainability companies (in terms of both stock market and accounting measures) that adopted almost none of these policies. Energized by Eccles’s work, the effort to advance integrated corporate reporting as a vehicle for transforming capitalism is picking up steam. The London-based International Integrated Reporting Council, where Eccles serves on the steering committee, has set out to create an integrated-reporting global framework that brings together financial, environmental, social, and governance information in a consistent format. Reflecting on the current state of play regarding the role of integrated reporting in helping companies to both create and communicate sustainable strategies, Eccles says, “I’ve been studying and trying to change corporate reporting for over 20 years, and I’ve never seen a better time to do so. In today’s hypercompetitive world, successful senior managers need to be trophy hunters, finding and bagging the best and brightest knowledge workers for their organization. Right? Not quite. In Chasing Stars: The Myth of Talent and the Portability of Performance (2010), Professor Boris Groysberg examined the careers of more than 1,000 “star” Wall Street analysts (and interviewed over 200 of them) to illustrate what he had seen in earlier research: Star performers flame out when they change firms. 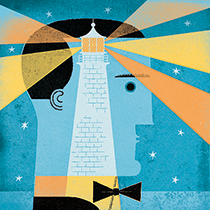 “This goes against the popular belief that we control our own destiny,” says Groysberg, who credits Dean Nitin Nohria and HLS professor Ashish Nanda (PhDBE 1993) as “intellectual partners” in developing his theory. “We’re taught that our most important asset is our brain, which makes it easy to take for granted the people, platforms, processes, products, and politics that create the context for our great performance. Only when we move do we realize the importance of those elements, which you can’t take with you to your new position.” While organizations (and individual workers) don’t win by “brain collecting,” they do benefit from strategies that take cultural and skill matches into consideration. in New York is different from Goldman Sachs in Asia,” he observes, adding that the same is true for conglomerates operating in industries as different as pharmaceuticals and aircraft engines. Groysberg’s current focus is driven by an exception he found in his star performer research: female stars’ success is far more portable than that of male stars. He and his research associate have interviewed 250 women in management roles around the world and are writing cases for How Star Women Succeed, an MBA elective Groysberg will teach for the first time in January. “I hope women and men will take it,” he says. “It’s not only what they don’t know that gets ’em into trouble, it’s what they know for sure that just ain’t so.” This aphorism (with apologies to Mark Twain) offers insight into what HBS associate professor Michael Norton wrestles with in his provocative public policy–oriented research. In one 2011 nationwide survey, for example, Americans asked to estimate their country’s wealth distribution told Norton (and his collaborator, Dan Ariely) that the richest 20 percent owned 59 percent of the nation’s wealth. Correct answer? 84 percent. Respondents further believed that the poorest 40 percent owned 10 percent of the wealth, when in fact they own close to none. Intriguingly, when asked their concept of ideal wealth distribution, Americans said that the richest 20 percent deserved only 32 percent of the wealth, a scenario that most resembles Sweden, the socialist bogeyman of many American nightmares. Is sound public policy—or a healthy economy—possible when citizens’ beliefs are so misaligned with the facts? Michael Porter’s groundbreaking ideas on strategy and competition have elevated him to rarified status among today’s business thinkers. So people tend to sit up and take notice when he calls for a new approach to capitalism itself. Called “shared value” (as described in a January/February 2011 McKinsey Award–winning Harvard Business Review article, coauthored with Mark Kramer), the concept challenges the notion that the sole business of business is to promote shareholder value. According to Porter, the Bishop William Lawrence University Professor, that’s a narrow, outdated approach to value creation. It leads companies to overlook the well-being of their customers, the depletion of natural resources vital to their businesses, the viability of key suppliers, and the economic distress of the communities in which they produce and sell. By contrast, shared value reconnects company success with social progress. “Shared value is not social responsibility, philanthropy, or even sustainability, but a new way to achieve economic success,” the authors contend. “It is not on the margin of what companies do but at the center.” Nor is shared value about redistributing the wealth already created by firms. Rather, it’s about creating more economic and social value (with principles that also apply to governments and nonprofits). For example, rather than merely paying a higher, “fair-trade” price to coffee farmers for their beans, a shared-value approach would dig deeper and focus on improving growing techniques, strengthening local suppliers and other institutions in order to increase farmers’ efficiency, yields, product quality, and sustainability. This leads to a bigger revenue pie for farmers and the companies that do business with them.